Immediately behind him was the western end of the 12-foot-high metal fence that rolls along the stony hilltop until it disappears around a distant line of gnarled trees. The fence, on the Bulgarian side, consists of chicken wire in a steel frame, while a menacing cascade of razor wire climbs its Turkish face. Only this first section is in place, along the stretch where most refugees tried to avoid border checkpoints. But the Bulgarian government, drawing on money from the European Union and other sources, and eager to prove it can effectively control its southern flank, says it will begin later this month to extend the wall until it covers the entire 100-mile land border with Turkey not already blocked by the Rezovo River. 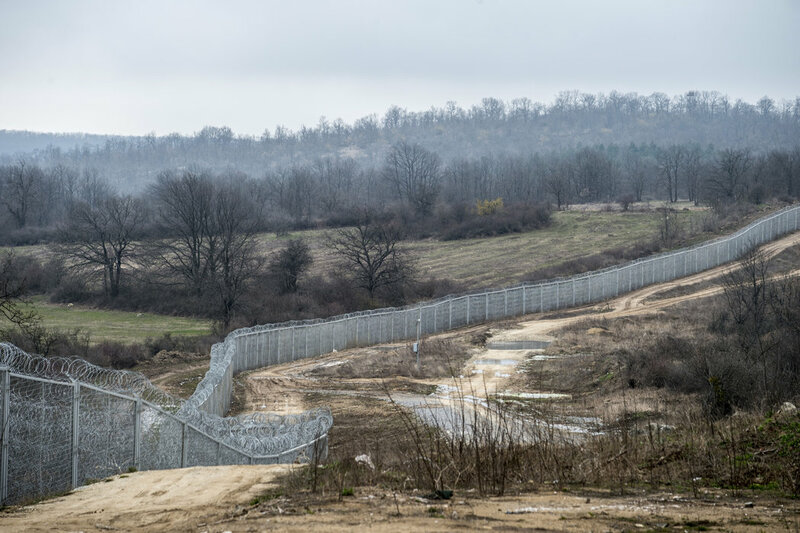 One reason Bulgarian officials are keen to complete the wall is to demonstrate to European leaders that the country deserves to be admitted into the Schengen group of nations whose members do not require visas or passports to travel between them. Bulgaria was admitted to the European Union in 2007, but has been denied Schengen approval, partly because of border issues. Although the Bulgarian government contends that the wall will be finished this summer, few security experts believe this is possible. Construction has not begun, and roads must first be carved through the forbidding, often mountainous landscape. In the meantime, refugees will continue to find ways across the border at more remote and dangerous locations. About 4,000 refugees are living in centers like the one in Harmanli, which holds 1,600.